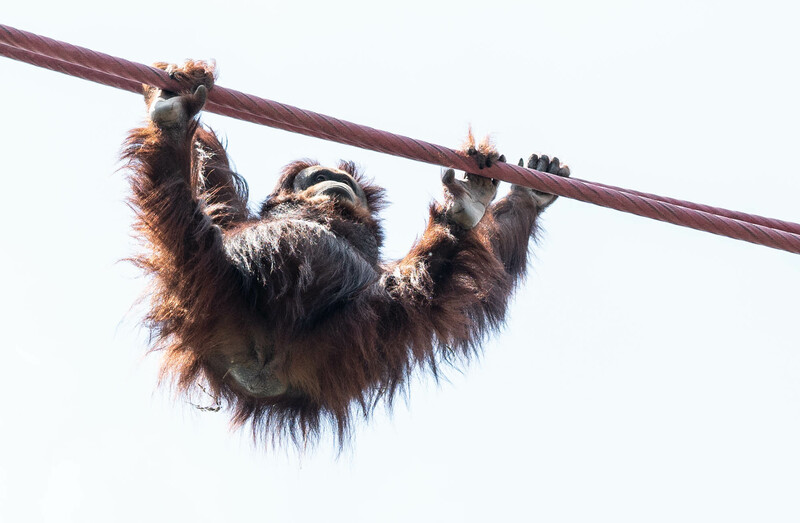 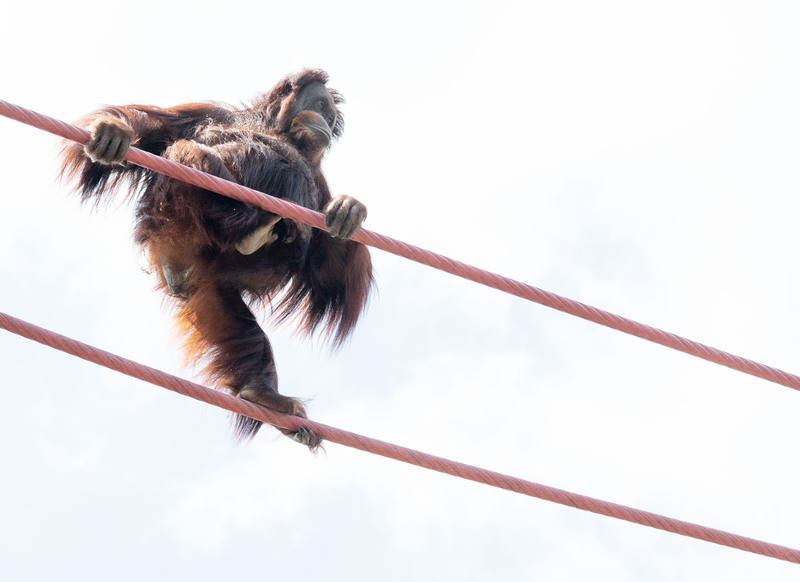 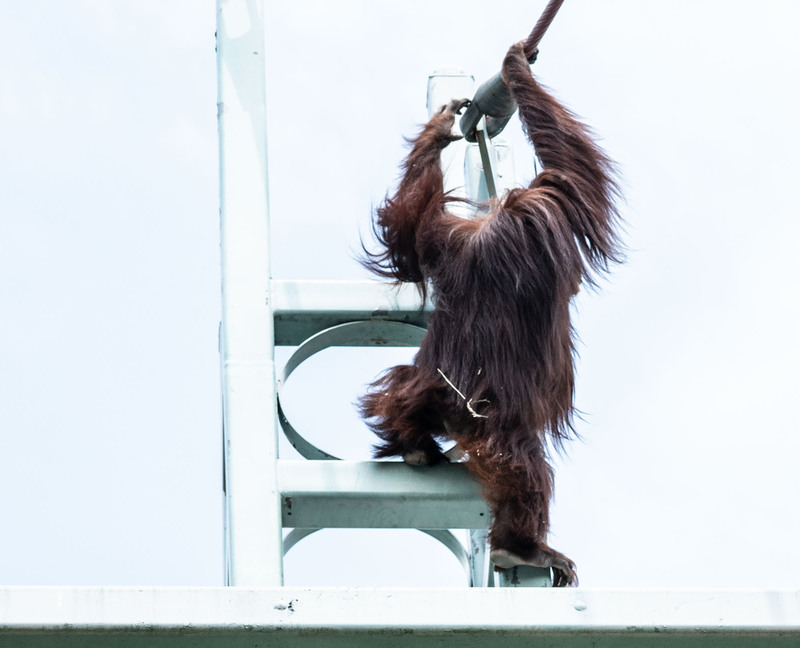 I’ve never seen the orangutan crossing before – I go to the zoo often, but usually in the late afternoon and the orangutans are active in the morning, so I finally saw one cross when I went this morning. 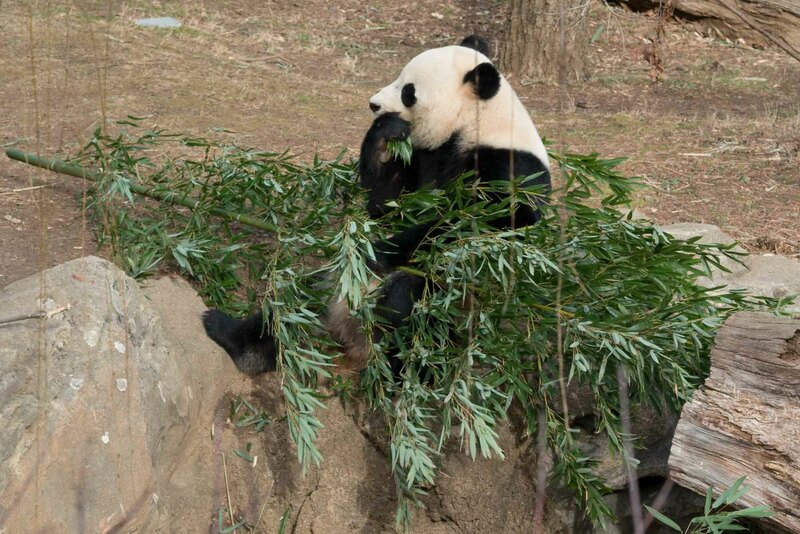 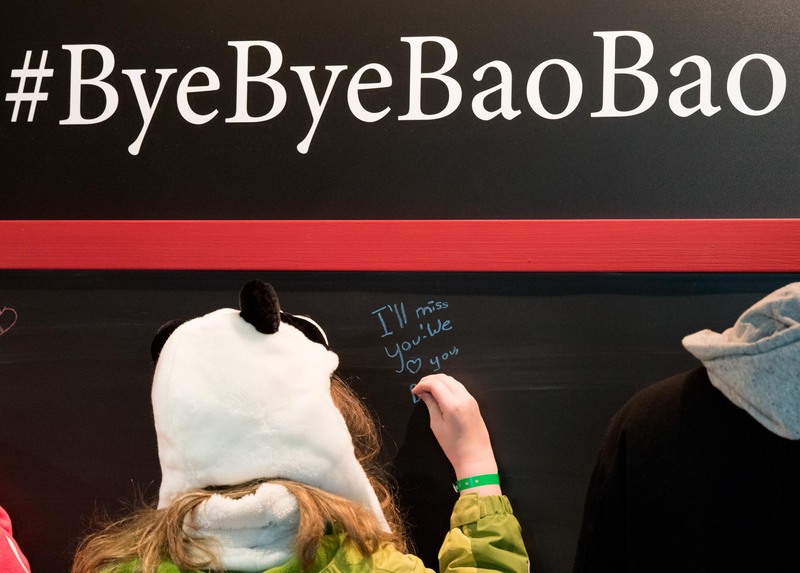 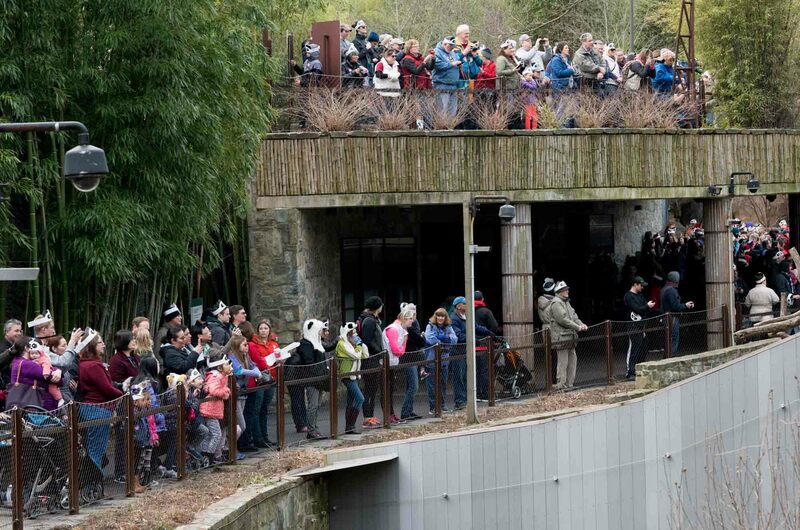 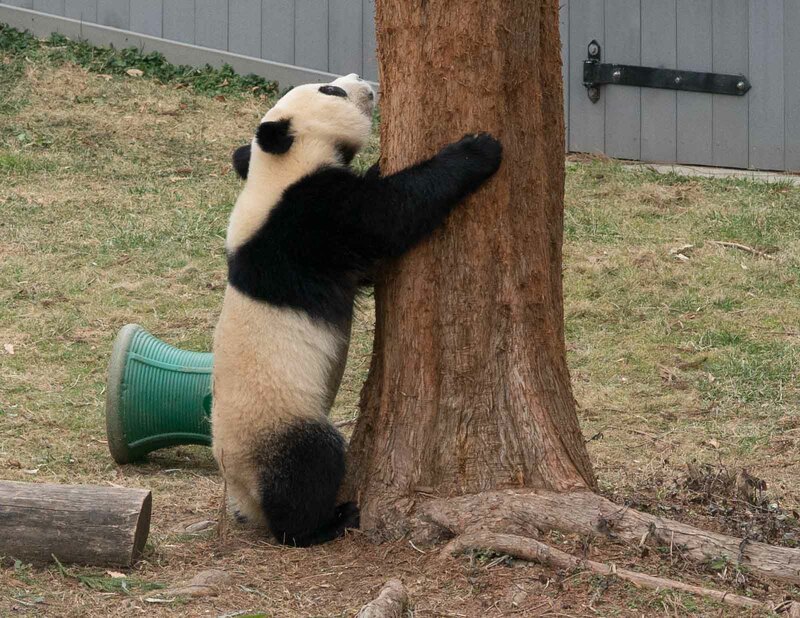 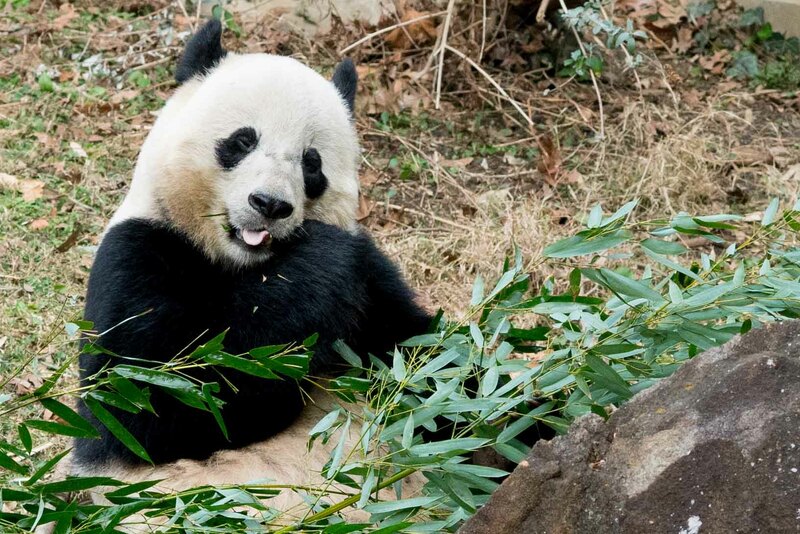 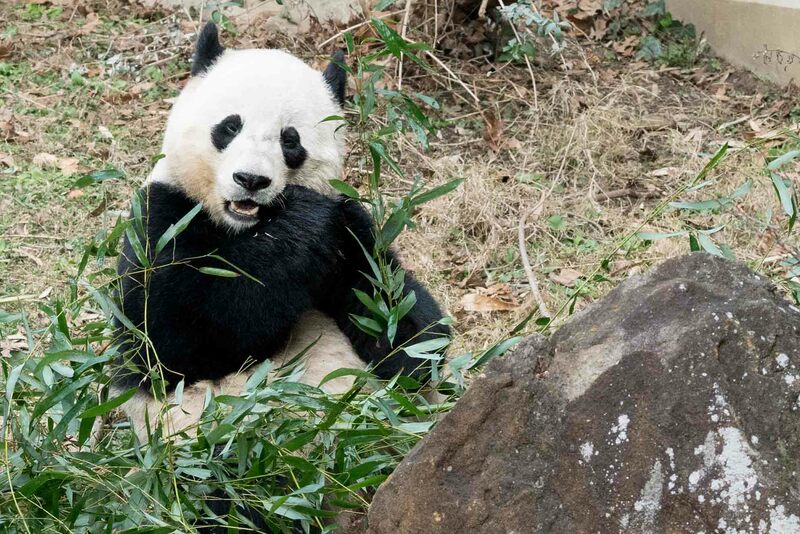 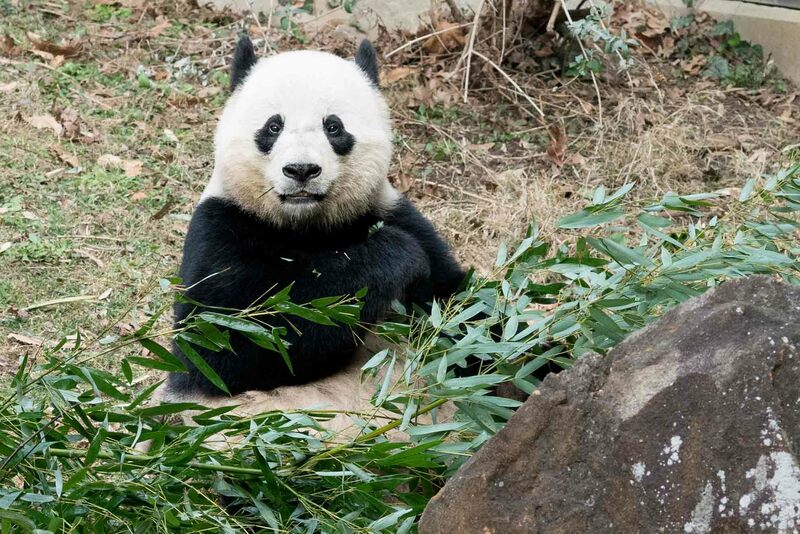 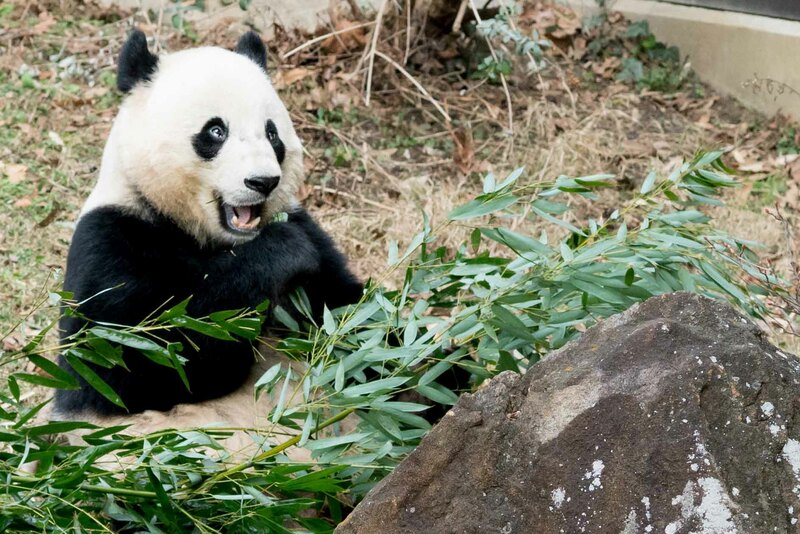 This morning, zoo members got to say farewell to Bao Bao, who leaves for China soon. 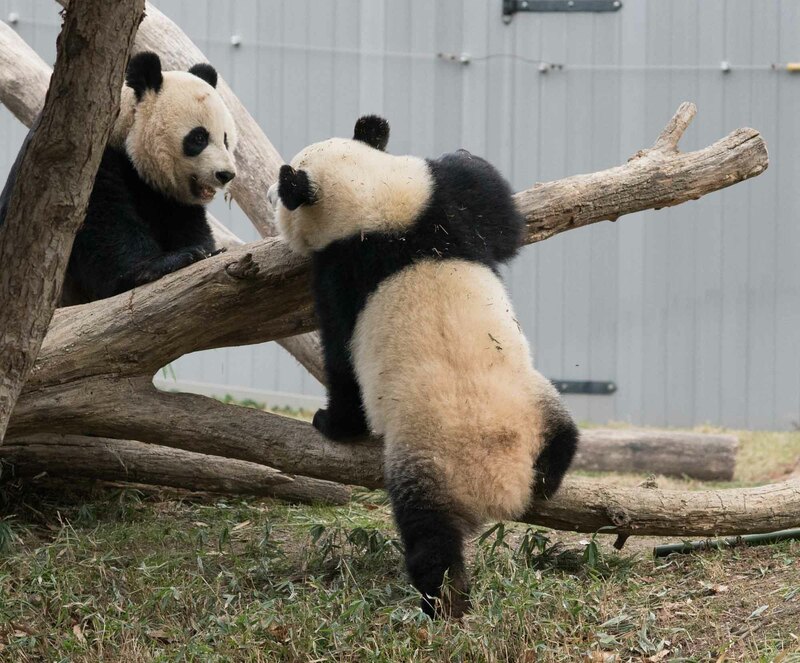 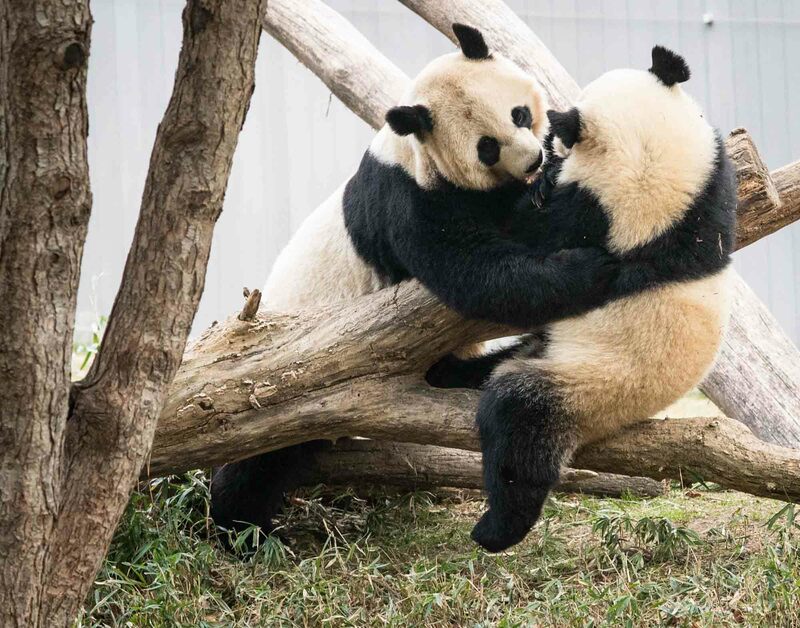 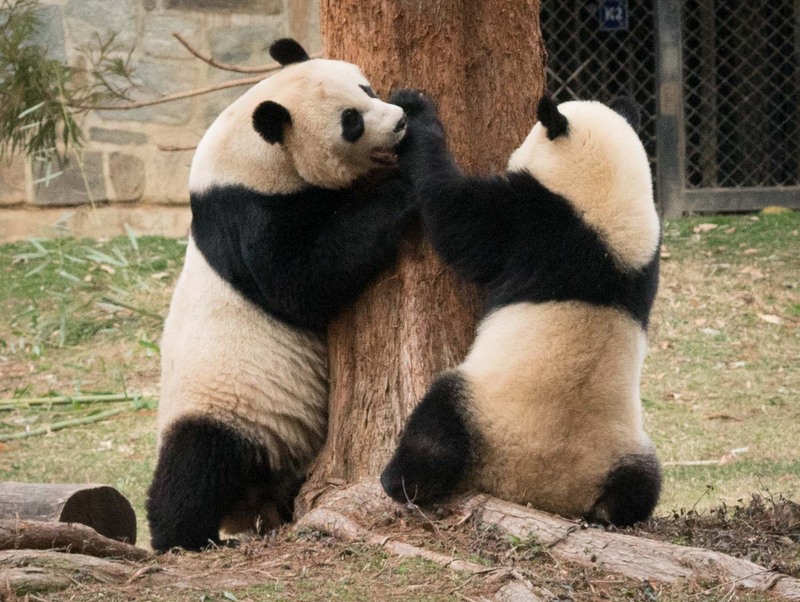 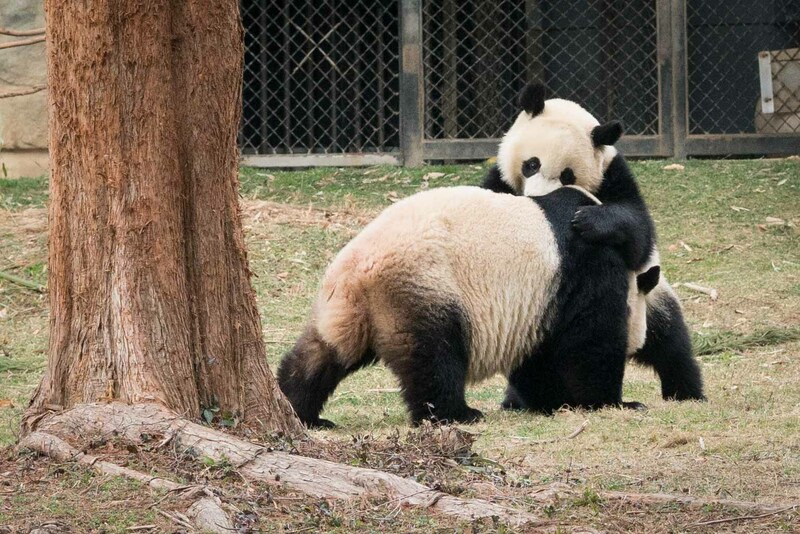 Bei Bei and Mai Xiang were playing in the next enclosure.